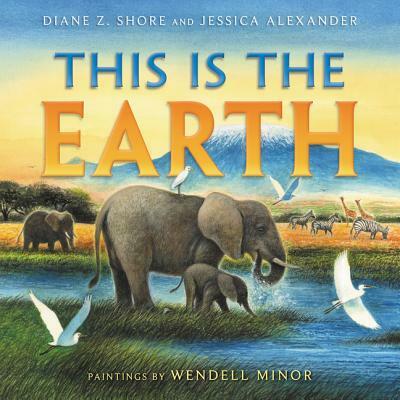 Young readers learn how they can create a greener, healthier world in this powerful nonfiction picture book from authors Diane Z. Shore and Jessica Alexander, with art by award-winning illustrator Wendell Minor. This Is the Earth explores hundreds of years of changing landscapes and the positive and negative impacts humans have had on the environment. Even the smallest actions can help save the world, and this lyrical, rhyming read-aloud text shows how smart and simple everyday habits can protect the planet. Diane Z. Shore and Jessica Alexander have collaborated on several children's books, including This Is the Dream and This Is the Game. One thing they have learned while cowriting stories is that when people work together, great things can happen. Both authors live with their families in metro Atlanta, Georgia. Wendell Minor has illustrated numerous award-winning picture books, including Reaching for the Moon by Buzz Aldrin, Galapagos George by Jean Craighead George, and If You Were a Panda Bear by his wife, Florence Minor. Mr. Minor's art has been exhibited at the Norman Rockwell Museum, among other prestigious institutions throughout the country. He lives in rural Connecticut with Florence and their two cats.